Right now most voters are 55 years or older. I’m 70 ! This means that we are the people making laws and electing representatives that will impact the lives of everyone in this nation. If you’re 18 do you want me to make decisions for you? If your 28 ? If your 38? Every vote counts. Yours does ! Submitted by Kerry Morris, Libby, Mont. Town Pump location, Progress or Restriction? I believe it is necessary to comment on Ted Deatrick’s previous letter to the editor. While I don’t argue with Ted’s assessment that new in restructure for the Town Pump is needed and would be beneficial in many ways to the traveling and local customers, there are some drawbacks. In a compressed economy like Troy, the addition of employees for one business usually means a reduction of employees for another. Progress is needed for Troy, to survive. A newer of buildings for Town Pump is progressive, but the closing or restriction of 2cd street is not progress. 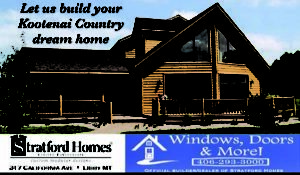 As the public travels along the highline of Hwy 2 throughout Montana, they see one after another of near attract new ventures and support of the off highway businesses for the support of convenience stores. As the worlds population continues to grow, even Troy needs to prepare for future growth and potential prosperity. The city should not be the catalyst in supporting one business over the sake of others. It is unconscionable to permanently restrict access to local enterprise and public right of way when the Town Pump can relocate in the same general area without the inconvenience. Vote no for selling part of 2cd street. After decades of supporting the Montana 6 mil levy, I’ll be voting no this time. Here are but two of many reasons. By and large most institutions of ‘higher learning’ seem to be losing their way. lost, abused & terribly distorted. livelihoods are at or near bankruptcy with high unemployment & little funding for schools, libraries, police, etc. Why should the people in such places support higher education? Said university(s) have made their bed, now they can sleep in it. The Board of Regents must understand that support for the system is dying & for good reason. More and more these institutions less and less reflect the values of the taxpayers who support them. More and more they must recruit out of state students to fill their enrollment – all subsidized by Montana taxpayers. More and more they are departing from their mandated purpose and betraying the trust of Montana citizens. 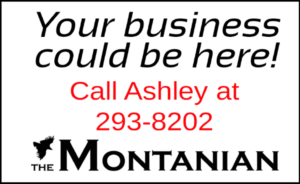 The Board of Regents must hold them accountable…as should Montana taxpayers. Expanding a business is hopeful for communities!!! The increased safety for youth and community that comes with a bigger space for parking, fueling up and traffic control in the highway… will be a welcome change. Better lighting in the parking lot will deter drug activity (yep, it happens there). I vote to bring in the new building and jobs and be grateful for their willingness to repair the water issues on the highway, install sidewalks and provide our volunteer fire department with new gear! Not to mention their annual contributions to our schools, food pantry and area non-profits. What are we waiting for? Let’s celebrate Town Pump’s willingness to grow and contribute to our community and spread the word that Troy MT honors our past, but believes in looking forward to a stronger, safer community in the future! Submitted by Maggie Anderson, Troy, Mont. For decades, schools across the nation have received threats similar to what we recently found at Libby Middle/High School. Threats created by students for a variety of reasons: someone thought it would be funny, wanted a day off, was mad at a teacher, etc. Often the students do not take into account the consequences of their actions. Such incidents are reviewed and analyzed to determine validity before additional measures are taken. In our world today, social media brings to the table a new element that schools now have to consider when making decisions for these types of situations. These decisions are not made lightly by the school districts and/or the law enforcement which becomes involved. Recently, parents received (via social media) partial information regarding a threat made at the Libby Middle/High School. Understandably, this information was unsettling and would have been better received if it were delivered by Libby Public Schools. As one parent stated, “Since we weren’t given any information, we were left to fill in the blanks.” For that, we apologize and have made changes in the way we will communicate with our parents in the future. Going forward, we hope you can trust that we always have your students’ safety in mind when we make all decisions. We would never intentionally put any person at risk. Our first priority is providing a safe learning environment for our students and staff. Decisions are made based on the factual infomation we have, and are never taken lightly. In the future, we pledge to provide you with as much of that factual information as possible. 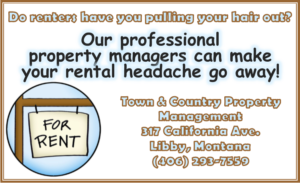 Striving to help you become aware of and understand a situation we may handling in a timely manner. This experience has brought the school district, the Police Department, and the Sheriff’s Office together to create a “Threat Assessment Team” to handle any situations that might arise in the future. Though we were very confident in the district’s emergency procedures already in place, we are also aware that our staff will continue to require diligent and ongoing training. We are pleased to say that we started our “active shooter” training last spring with the high school staff. And our elementary staff also completed that same training recently. Now that everyone is familiar with our “RUN, LOCK, FIGHT” procedures, it will be added to our emergency policies and our students will be trained accordingly over the next few weeks. In addition, we are also reviewing internal procedures that will create solid routines inside the buildings and throughout the district. One of the areas that we need to address is our communication with the public in regards to security and safety. We have to do this in a way that protects the privacy rights of our students while weighing the public’s need to know. In an age where varied forms of communication exist, Libby Public Schools needs to seek relevant ways to communicate with all stakeholders. We will have a meeting to discuss ways to best communicate with the families of our students on Tuesday, November 6 at 5:30pm in the KW Maki Theater. At that time, we will also review our District Safety Procedures and other plans for the future. Mr. Gianforte, For more than 40 years the government took money out of every paycheck that I earned. Whether I was waitressing in college, later teaching school or practicing nursing, part of my salary was tucked away in trust, in a fund called Social Security, to help support me when I retired. My money was invested and intended to grow with the economy so that when I needed it later the amount available for my retirement would have kept up with inflation. The problem is that conservatives in congress kept robbing my bank in order to pay for things like unnecessary wars and corporate welfare. None the less, what is left for me is my money and now, true to form, you want to confiscate it to pay for your huge tax cuts for the wealthy. You even want to rename my Social Security check a “Federal Benefit Payment” so that it looks like an entitlement. It is time for you to quit implying that Social Security is some kind of giveaway program. I worked hard for this money. Shame on you for suggesting that because I am finally getting some of it back I am on the dole. It is time for you, and your disrespectful political heroes, to step aside. Keep your sticky fingers to yourself. My generation will not be body slammed. Submitted by Roberta McCanse, RN, PhD, Libby, Mont.